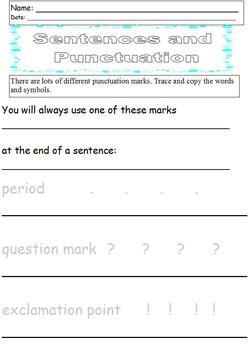 This is a 9-page packet to teach students about the different types of punctuation and sentence types. 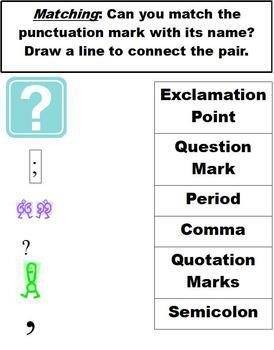 The first four pages address punctuation, while the last five pages address sentence types. 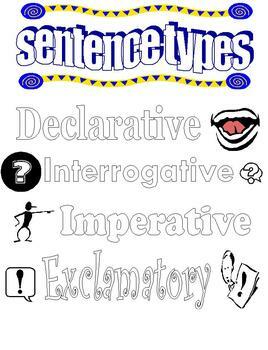 There is a one page introduction to sentence types with picture clues. Then there is one page dedicated to each type of sentence. Students can color in the bubble letters when they need a break from writing. 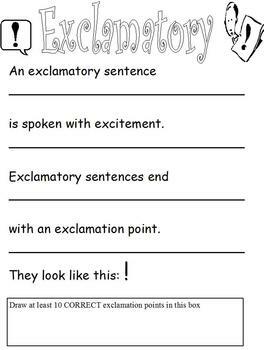 In this packet, students will work on writing the punctuation marks, strengthen fine motor skills, and learn types of sentences.